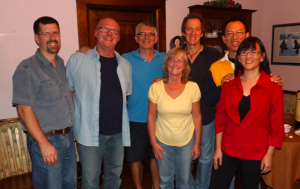 On Thursday night, several of us had the privilege of sitting in on an intimate house concert with Randy Stonehill, known as one of the fathers of contemporary Christian music. 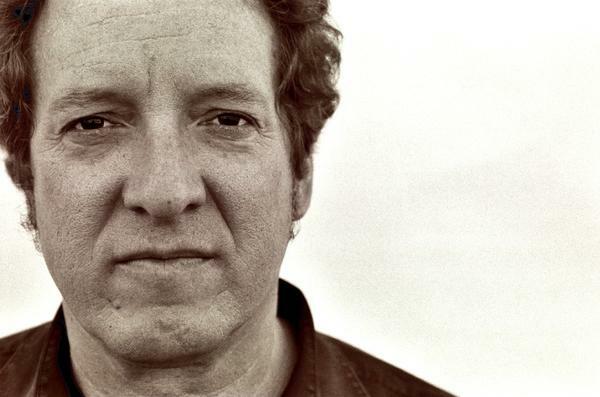 Terry Kreutzkamp, of Westheights, read on Randy Stonehill’s Facebook page that he had free evening and would be willing to do a private house concert, between gigs in Toronto and Stratford. Terry took him up on his offer and had no problems filling his house with 25 avid Stonehill fans. In fact, due to space constraints, Terry had to “shut de do” (“shut the door” in Stonehill jargon) to anymore invitations. I recall a couple of Stonehill songs from my teen years, but didn’t really follow his music. I do remember an outdoor Jesus fest weekend in Enumclaw, Washington State, where several top Christian bands performed. Due to a brief rain storm, some technical problems ensued and Randy Stonehill was tasked to keep the 4,000 spectators entertained during the repairs. “Uncle Randy” kept up a one hour monologue with us and he was very humorous in a kind of Robin Williams way; I remember this more than any other act that weekend. Stonehill was personable, self-effacing, and appeared genuine and relaxed in this casual, living room setting. With a bookshelf crammed full of Zits comics, Narnia Chronicles, travelogues and more cerebral fare like Shake Hands With the Devil on one side of him, several lamps for extra lighting surrounding him, a backdrop of fluttering drapery behind him, and chairs and couches crammed within five feet in front of him, he rocked, twisted, contorted and sang his heart out. More importantly, he shared about life’s difficulties for him, particularly recently, and reminded us that rough times happen – guaranteed. However, we must keep our eyes focused on the Lord and His compassion and love for us. Thanks, Terry, for your spontaneous concert and for inviting us to share in this memorable experience! That is amazing!!! SO sorry I missed this!! Thanks for blogging about it and for sharing the pic.